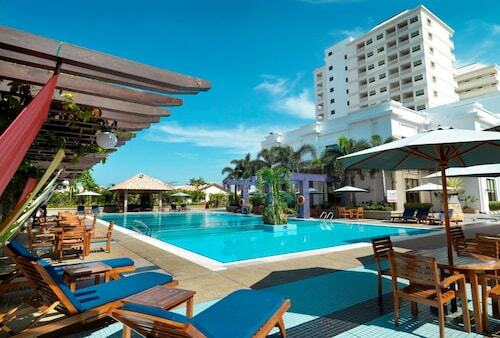 Expedia Port Dickson holiday packages can help you save money! Bundling your reservations will give you more cash to splurge for your upcoming adventure. As much as 55%* can be saved when you secure a package deal on Expedia. With more than 400 airline partners and 321,000 worldwide properties, our comprehensive database can get you to where you want to be. Can't wait for your trip to Port Dickson? Like some recommendations about what to do when you arrive? That's where we can assist! History is full of extraordinary stories to be told and many lessons to be learned. Make your way to Fort Lukut and get a look into the past. There's a wonderful range of things to keep you busy in this destination. Mankind has been indelibly marred by war. Spend some time at Port Dickson Army Museum to find out about the great battles of the past. Still got some time to spare? Constructed to honour one or many gods, temples afford travellers an intriguing peek into another culture and religion. Learn about the local faith and walk around the beautiful sanctuary that is Sri Anjeneayar Temple. 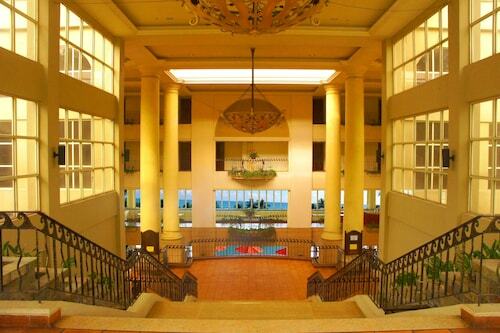 With no less than 16 accommodations available, you won't have any problems securing somewhere great to stay. 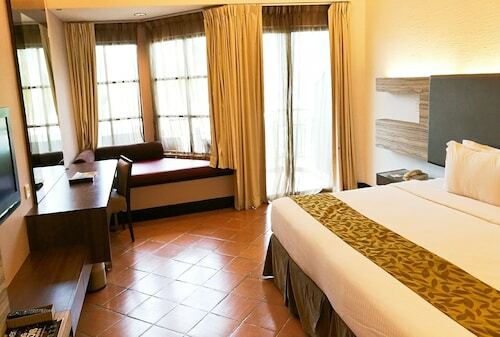 Reserve a bed for your cheap holiday or luxury getaway via Expedia and enjoy a good night's shut-eye in Port Dickson. Check out the Grand Lexis Port Dickson (Batu 2, Jalan Seremban) and the Lexis Hibiscus Port Dickson (12th Mile, Jalan Pantai). These popular properties not only come with snuggly beds — they boast fantastic reviews as well! Kuala Lumpur International Airport (KUL) is the gateway for most travellers going on a trip to Port Dickson. It's based 17 miles (27 km) from the centre of town. 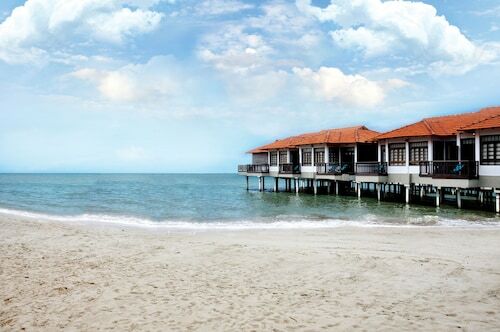 This Port Dickson hotel is on the beach, 2.5 mi (4 km) from Cape Rachado Lighthouse, and within 6 mi (10 km) of Admiral Cove Marina and Port Dickson Ostrich Farm. Telok Kemang Square and Sri Anjeneayar (Hanuman) Temple are also within 9 miles (15 km). 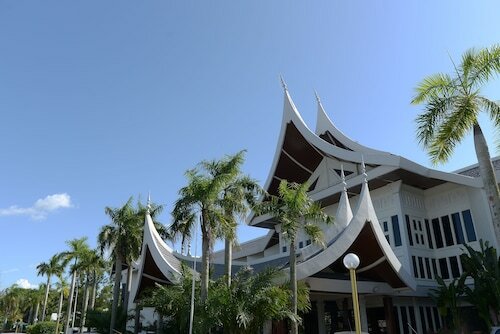 Nestled on the beach, this Port Dickson hotel is within 1 mi (2 km) of Sri Anjeneayar (Hanuman) Temple and Admiral Cove Marina. Port Dickson Army Museum and Telok Kemang Square are also within 3 miles (5 km). 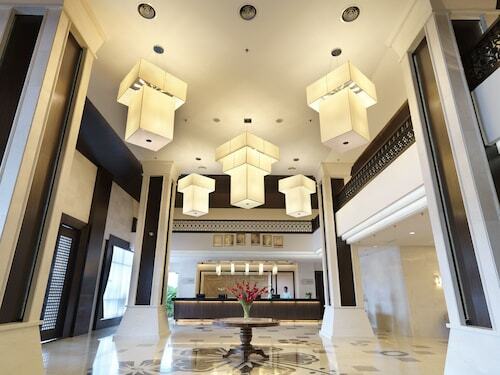 Located in Port Dickson, this beachfront hotel is in the city centre, 2.8 mi (4.4 km) from Port Dickson Army Museum, and 3 mi (4.8 km) from Sri Anjeneayar (Hanuman) Temple. Admiral Cove Marina and Fort Lukut are also within 6 miles (10 km). This family-friendly Port Dickson resort is located near the beach, 2.7 mi (4.3 km) from Fort Lukut, and within 9 mi (15 km) of Port Dickson Army Museum and Sri Anjeneayar (Hanuman) Temple. 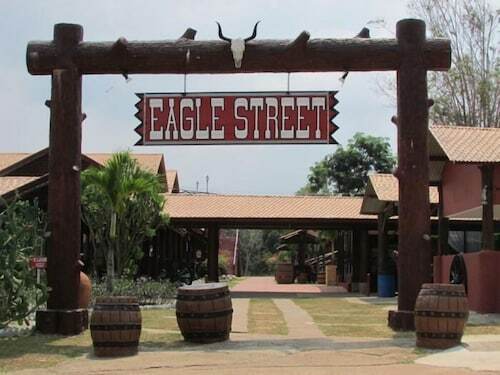 Port Dickson Ostrich Farm and Telok Kemang Square are also within 12 miles (20 km).